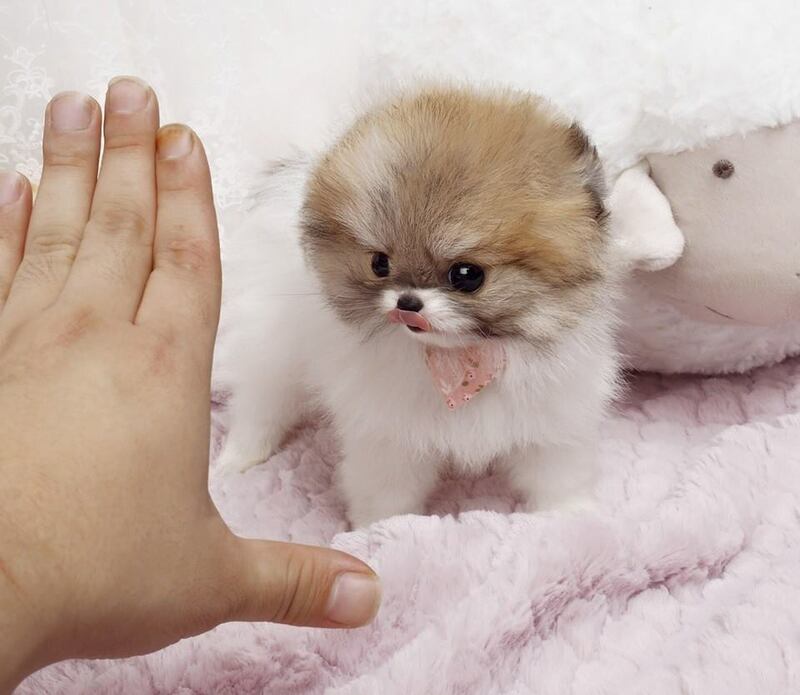 Tracie is one of our rare Parti colored Teacup Poms! She loves to play and will chase toys and bring them back for more play. Tracie – A Micro Teacup Pomeranian Puppies is so adorable and will cuddle by the hour… loves kisses and will give much love back! 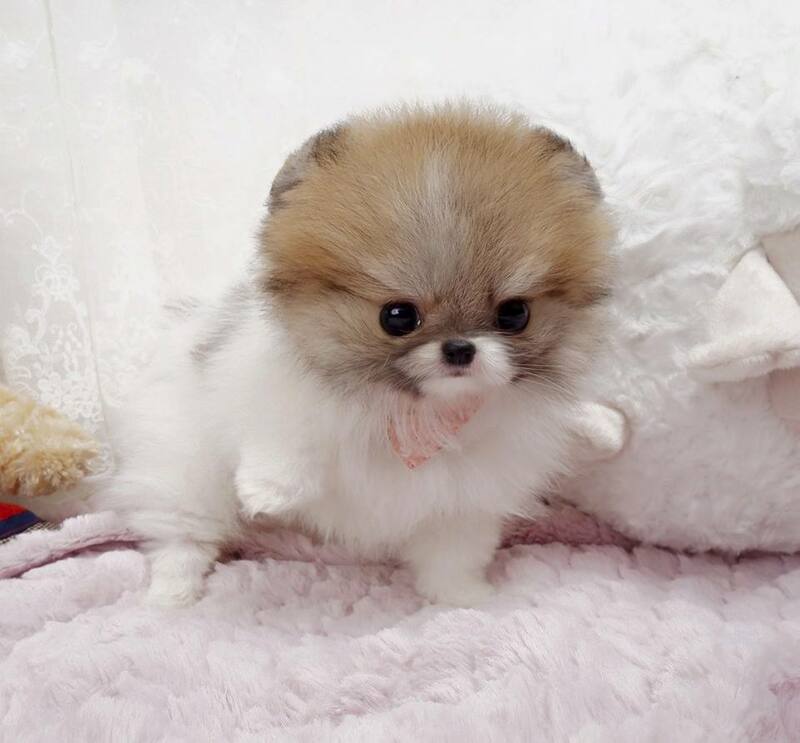 Micro teacup Pomeranian for sale is fine boned and light as a feather-she is all fur! 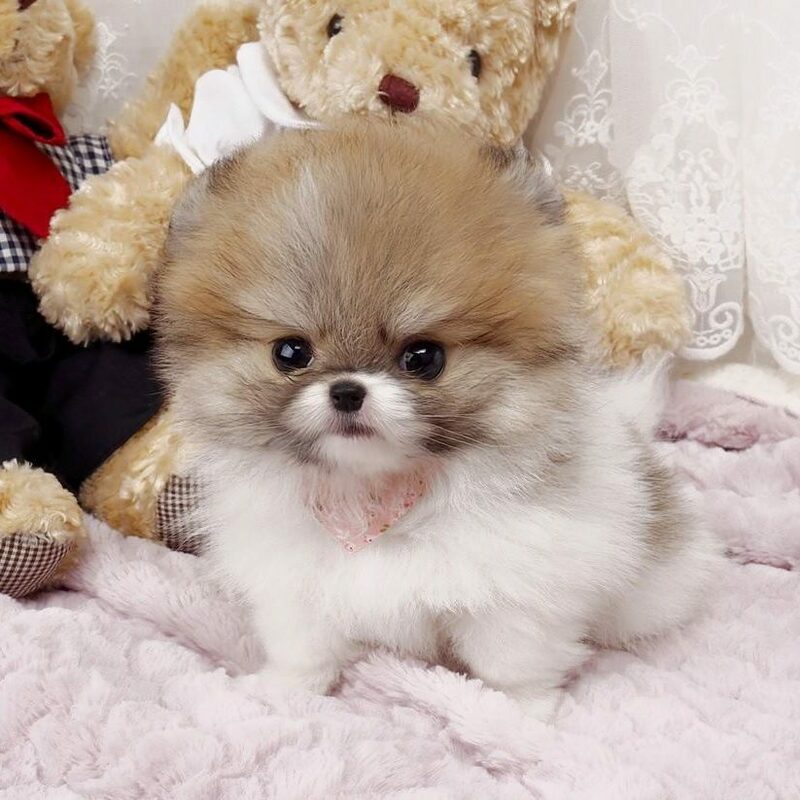 If you know Pomeranian puppies you know this guy is #1.